There are quite a number of manuals on the basics of how to play a game of mahjong. The amount on strategy and tactics however is limited. Mahjong Time has asked Adrie van Geffen (a3geffen) to share his views in that territory. In the year 2011 he will publish a series of articles with hints and pointers having to do with strategy of mahjong in the different styles (except American): Hong Kong (HK); European Classic (EC); Mahjong Competition Rules (MCR); Riichi Competition Rules (RCR); Taiwanese (TW). Below part 4 – Flower power. A normal mahjong set contains 144 tiles to play with. Some styles however don’t use all of them. When you go to play Sichuan style all dragons, winds and flowers are left out. Watch out when buying a mahjong set in that area for the style is so popular that most of the sets for sale there don’t even contain these tiles, which makes the set a lot cheaper. But otherwise the odd ones out are the flower tiles. EC and RCR are played without them. In other styles flowers play a more or less important part. In HK you have to be aware. Tournaments are played on MJT with a minimum of 8 points, being 3 fan. You must be able to distinct the flowers and seasons for only those belonging to your seat gives you a fan. When you play for all chows (1 fan) and you get a flower tile not your own, you are in trouble. To prevent picking an unwanted flower from the wall the common strategy is to chow always, even if you already have the tile: claim it and discard the one you have. Of course only when not all flowers are on the table yet. Then why play for all chows then? This of course has to do with chances. The chances to pick up the right tile when you are waiting double sided for the finishing chow has 8 possible tiles. When playing with pungs you only have 4 tiles available. And all this makes going for half flush very popular, albeit that once you have opened up a set your opponents will get careful. 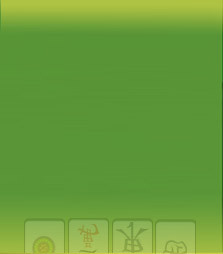 As an important factor of luck in TW every flower tile counts, as well as the absence of flowers. The minimum required in tournaments is 6 points (or tai). Winning is 2 and one or no flowers is 1 tai. So the counting starts with three to go. That any extra flower gives you an extra point helps a lot. Having four flower tiles means that you can win on anything. Keeping an eye on the amount of flower tiles you have managed to get is therefore quite crucial. In MCR the flower tiles are regarded as bonus points. In terms of getting the required minimum of 8 points this is true. But there is more to them. In other styles you are required to put out your flower tile and take a replacement tile. Not in MCR. The Chinese official rules have quite a lot of punishments which are not so obvious when you are playing on MJT. For several reasons the hand of a player can be called ‘dead’ which means that the game continues but the player with the dead hand cannot make mahjong anymore. Reasons to get a dead hand are for example: having too many or few tiles (no restoration allowed) or taking a tile from the wrong end of the wall He is out of the race, but has to continue playing and thus discarding. Because the discarder of the winning tile pays one has to be cautious what to discard. In the case of a dead hand, when drawing a flower tile, the move is obvious: discard it! But you can also do this when tiles are getting dangerous. It is good to win, but much worse to be the loser. The next RCR GMT is on September 18th! The next MCR GMT announced! $1,000 RCR Madness Tournament is here! The Golden Tile is Back - the Dragon Tournament format has changed!